Happy Canada Day to all of us here in Canada and abroad. For me this is typically a relaxing, lazy day with an interesting book, cool music and beautiful images that were mentioned in the title. So, we know where to get good books but how about cool music and even cooler photographs. Well, there is a simple but effective solution to put everything into action. I’m not a big Apple Corp. fan but I love a few of their products. One of them is AppleTV. It is a little set-top gizmo, not much larger than a hockey puck. It can connect to your TV, sound system and to your wireless network allowing to access either your iTunes music collection or you can connect to the vast Internet radio directory. My favourite is Radio Paradise, which plays a wonderful mix of delightfully eclectic music, anything from smooth jazz and punk through pop, world music to classical. There are no commercials, radio is fully supported by voluntary listener’s donations. Give it a try, you will not regret it. Even better, while you are listening to your music, you can set AppleTV device in such a way that it can access your flickr account and use the images there for a slide show / screen saver. I usually like to view my Favorites but any Set or the entire Photostream can be chosen. Just a little heads-up, the device can load approximately 500 photos into it’s memory. If your Set or Favorites contains more then than that, you will be able to see only the latest 500. Finally a few words about the image on top. I took it last year during my trip to the Canadian Rockies in September. 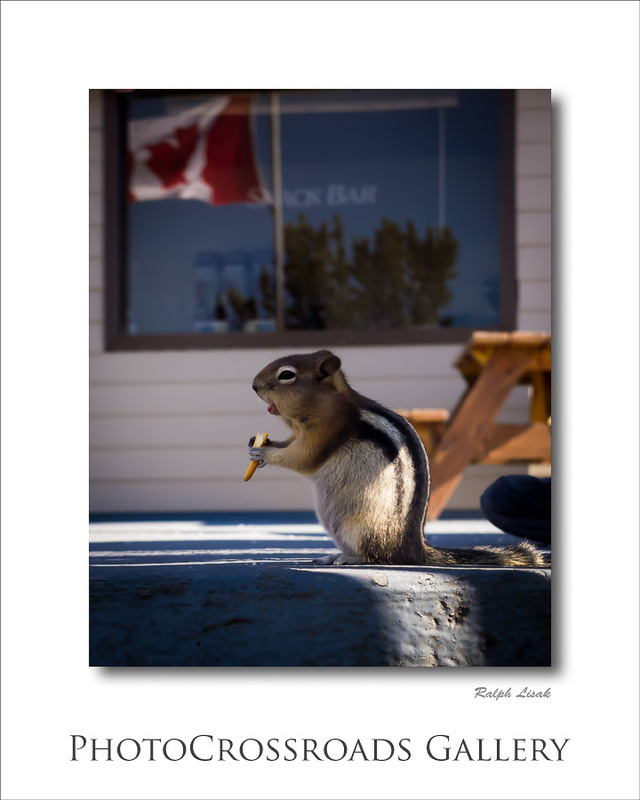 We hiked to the top of Rundle Mountain in Banff, AB where this little, cute critter was munching on some food left by tourists. Appropriately, there was a Canadian Flag in the background.